Book and lyrics by David Wood and Dave & Toni Arthur. Music by Dave & Toni Arthur. 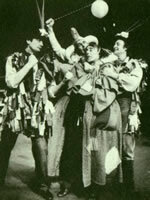 ROBIN HOOD was first produced at Nottingham Playhouse in 1981. It was subsequently produced, twice, by the Young Vic, London, and also by several youth theatres. In 1991 a highly successful production won awards at the Citadel Theatre, Edmonton, Canada. Successfully revived in 2002 by Greenwich Theatre, London. The play is popular with amateur companies, too. Not so long ago it was traditional in England for May Day to be celebrated on the village green with organised May Games. 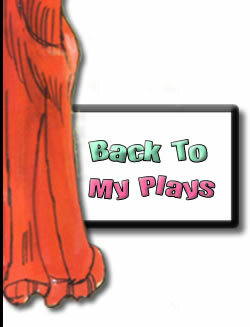 It is a re-creation of these May Games which provides the framework for this musical version of the Robin Hood legend. We join a group of villagers celebrating May Day with a variety of pastimes – singing, dancing, acrobatics and competitive sports. Against this background are set a number of playlets in which the villagers taken on Robin Hood roles to tell the various well-known tales of Robin Hood, including ‘Robin Hood and Friar Tuck’, ‘Robin Hood and Little John’ and ‘Robin Hood and Allen-a-Dale’. The possibilities for presenting the play are numerous – open stage, promenade, open air as well as on a proscenium stage. There is a basic cast of fourteen, but the authors envisage many productions in which large numbers of local people can take part, not just the local dramatic society, emphasizing the basic concept of the play which is that of a musical celebration by a community. The play and piano/vocal score are published by Samuel French Ltd. First Class Professional & Foreign Rights : Casarotto Ramsay Ltd. UK Repertory Rights : Samuel French Ltd. UK Amateur Rights : Samuel French Ltd. US Stock and Amateur Rights: Samuel French Inc.